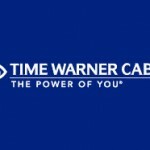 Time Warner Cable has added 27 new HD (High-Definition) television channels in the Rio Grande Valley area of Southern Texas. (They recently added the same number in Corpus Christi.) That brings the total number of free HD channels for customers in the area to 37. Added HD networks for Rio Grande Valley customers include ABC Family HD, Animal Planet HD, Bravo HD, CNN HD, Disney Channel HD, Food Network HD, SyFy HD and Travel Channel HD.